Well, the new President Rev Mark Wakelin and the Vice-President, Michael King are installed. The Methodist Church may not be as grand in the way it does things as other Churches are. There is no real pomp and circumstance, but plenty of love and warmth, and it comes from the Methodist people. A genuinely moving service, a passionate address from Mark in which he spoke about the need for confidence within the Church (in next weeks Methodist Recorder). He spoke of the need to be 1) needed 2) loved and 3) trusted. When we get these three we grow in confidence. Onto the second half of the afternoon and we held the annual general meeting of the Methodist Missionary Society which is always held as part of Conference. Three overseas visitors spoke. One from China spoke of the 50 million Christians in his country, the second spoke of being the first lady Bishop in Gambia and the third spoke of conversion of a gang leader in Sierra Leone. Powerful and inspiring stuff. Tonight I had an evening off and went to see a Junior production of Godspell, excellently performed and in itself quite an inspiration. Godspell in the seventies was a major influence in my Christian journey for it taught me that Christianity doesnt have to be stuffy, and that Christ was a marvellous fool who could be my friend. The youngsters caught the spirit of it brilliantly tonight. A day of contrasts, from the reverential way in which past Presidents and Vice-Presidents were received back into Conference to the warmth of welcome to all our overseas visitors. From the contentiousness of the debate about “Our future mission and the future of the Methodist Missionary Society to the laughter and fun of meeting and greeting old friends and making new ones. Through-out it all from Presidential greetings to the close of Godspell Jesus Christ has been at the centre of everything. Tomorrow onto the Ordination of Presbyters and deacons; a special day in their lives. I`ll be travelling onto Camborne to support my friend in her Ordination and will be meeting up with Alison and other friends who are travelling down for this. May God bless the day. Arrived yesterday here at Plymouth for the annual Methodist Conference. Conference always begins with the Ministerial session on the Thursday and Friday before the full Representative session on the Saturday. We are meeting in the Plymouth Pavillions which I last visited about 10 years ago on the “Dangerous Journey” tour. I`m hoping to see a bit more of the City this time ! Today we had a wonderful address by Rev John Pritchard, the Bishop of Oxford, (photo below) who was formerly my Principle at St Johns and Cranmer Hall, Durham. John carries a wonderfully warm sense of humour but a tremendous understanding of the importance of the relationship between the Anglican Church and Methodism. Oh, if only more Bishops had his warmth and graciousness. This was followed this afternoon by the act of thanksgiving and remembrance for all the Ministers who have died since Conference last met, including this year Rev Otto Tuscher who I was proud to count as a friend. I have been given his preaching gown and cassock. I have now worn his gown several times but it will be a while before I can shrink enough to get into his cassock !! Tomorrow we welcome our new President and Vice President, Rev Mark Wakelin and Mr Michael King. Please pray for them. On Sunday we receive into Full Connexion the Ordinands followed by their Ordination services. Please pray for them also. Conference proper begins tomorrow and I would ask that we are all held in prayer as this year there are some difficult decisions to be made which will have a radical effect on things such as training, structures, budgetary cutbacks and so on. This is not going to be an easy Conference and your prayers are much-needed. I will try to keep a daily blog but the internet access isn’t easy in the hotel. However we`ll see what I can do. Dear friends, as I write this I find myself in the middle of trying to prepare for Methodist Conference which begins in this coming week on June 28th for a coming week. By the time you read this I will be deep in the throes of argument and debate, joviality and laughter, moments of exuberant life and moments of absolute tiredness. Conference lasts for a week and this year is being held in Plymouth (last year in Southport and next year in London). One of the proud boasts about Methodism is its dependence upon Connexionalism; the system by which Churches are bound to each other in Circuit, in District and ultimately across the country through its annual Conference. Those elected to Conference are attending as Delegates to discuss many varied subjects and this year’s list covers items such as Methodist expenditure to the use of Drones in warfare; we will receive reports on the current thinking of a new rite entitled “The reaffirmation of Baptismal Faith including the use of water”, on the Methodist Relief and Development fund, Ethics, Safeguarding and many others. Conference is the decision making body on the life of the Methodist Church at every level. Whereas we don`t exercise pastoral oversight through a system of Episcopacy (Bishops), in effect the Conference is our Bishop (all 4-500 people) and so Conference is an important time for us all. Please pray for the delegates, for Rev Mark Wakelin who will be our new President of Conference and Mr Michael King who will be Vice-President, for our General Secretary and all the officials who have so much to decide and preside over. In a similar way the work of the local Church is also exercised through its Connexionalism within the local Circuit, in our case Borders Mission Circuit (BMC). It is here that we seek to support and encourage each other in the mission and work of the local situation. Traditionally within Methodism there have been Circuit rallies, Circuit committees, Circuit structures; these were not bad in themselves but they served to produce an environment in which all the Churches supported the Circuit. Everything happened as long as it benefitted the Circuit. “The Methodist Church: a discipleship movement shaped for mission” and this is the paper that is driving much of everything else forward. The bigger picture is to try and create a Church in which people can be taught to grow in Jesus Christ. In order for this to come about there needs to be a change to our way of thinking and here in BMC we are trying to create a new style of Circuit; one in which the local Churches won`t always be looking to feed the Circuit, but one in which Circuit structures, Circuit staffing levels, Circuit finances can actually help the local Church in their mission. It seems ridiculous to me to expect folk from one end of the Circuit to ignore their Missional opportunities in their own locality in favour of mixing with people. If people at Selston are engaging with mission in the village why expect them to travel 13.5 miles to Grassmoor (that’s the length of the circuit north to south !) for a talk about mission ? or Vice Versa. Surely it’s better for the Circuit to help them in their mission and encourage new disciples into the Kingdom. In order to do this we need to look long and hard at subjects such as staffing levels, number of Churches (is it really wise to employ Presbyteral cover in a Church which by its own admission has `run out of steam` ? or is it better to sell the Chapel and use the cash to employ a new worker for that area), using our funds for mission and discipleship, training of Local Preachers and our relationship with other Circuits to possibly share resources. I`ve always employed the image of a ship coming into port being buffeted by the wind and the waves, with fearful passengers on board, fearful of the future and fearful of the unknown. However I`ve always been encouraged by the boat in the storm on Galilee. As the disciples cried out for help they saw Jesus walking on the water; they were going to let him go by until Peter realised who it was and cried out to Jesus. It was only when Jesus got into the boat that the storm passed. Friends we are in the good ship BMC, but if we invite Jesus into our hearts and into the heart of our Church and Circuit the storm will pass and the port will come into view. What a great time it is at the moment for us sports lovers. Following the olympic torch, European football Championships, Wimbledon next week, the Olympics to follow, the football season beginning in August and then the Paralympics. Good job I don’t like cricket ! What are we to make of it all ? I know that there are some for whom all sport is anathema and then others (like me) who would overdose on it. I suppose what we make of it will depend on how much we enjoy it. To those who don’t there will never be a good reason for such a feast of sporting activity and to others we wish it happened every year ! And yet somehow sport stirs the national fervour; when one of our players even gets close to the Wimbledon final we all get behind him or her; should the England football team get through the quarter finals and reach the semi`s then even the most ardent football hater will keep an eye on what is happening. 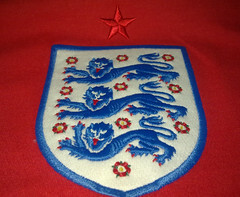 Good, solid sporting success often brings out the hope in people, the nationalistic passion and the patriotism. In moderation that can be good for our well-being, our national health and pride and good for our economy as a knock on effect of the `feel-good` factor. After the English success in 1966 at the world cup it was felt that the whole country existed `on a high` for a while and this positivity affected everything else from work productivity to economic stability. Whether or not that will convince any of the sceptics that this is a good summer I doubt, but I for one will be looking to see England win the football, Britain to bring home the gold medals, Andy Murray to win Wimbledon (!) and then Newcastle Untied to set August alight at the top of the Premiership. 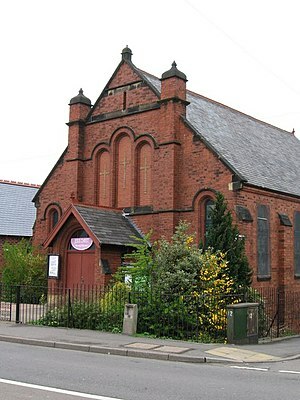 The picture above is the frontage for the Church in which I am speaking tomorrow. I don’t know whether it is intentional or not but I do like the contrast between the scarecrow figure in the Church window, representing the Queen and the poster on the board. Indeed I like it so much that I`m taking it as my sermon theme tomorrow. 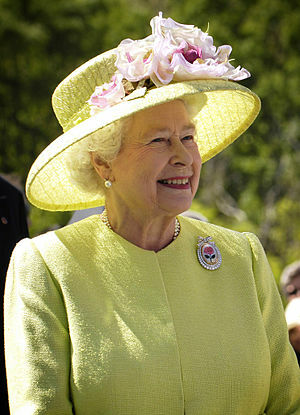 Whilst I wouldn`t describe myself as an ardent royalist I do believe that the Queen has served this country well throughout her time. Her promise 60 years ago at her coronation (pictured above right) “I declare before you all that my whole life whether it be long or short shall be devoted to your service” has surely been fulfilled. We have seen her carrying on with her duties despite family problems, terrorist attacks, her country engaged in warfare, her beloved Uncle (Lord Mountbatten) murdered, the fire at her much-loved Windsor Castle and her country in recession. Despite all this she has remained resolute in her determination to fulfill her responsibilities, and most people (even if not in favour of the Monarchy) acknowledge this. I also believe she has been a wonderful advocate for the Christian faith as year after year she has proclaimed her belief in Jesus Christ through her Christmas messages and elsewhere. Whilst paying respect and honour to other faiths, she has never denied hers. Last Christmas she proclaimed “God sent into the world a unique person, neither a philosopher nor a general, important though they are, but a Saviour with the power to forgive.” What a statement of belief ! As Christians we should be rejoicing in a Monarch who seems to know her place before God almighty. It is my opinion that it is this wonderful faith in God and Jesus Christ that has been the inspiration in her life; Tomorrow is Trinity Sunday, the day when Christians acknowledge each part of the Godhead, Father, Son and Holy Spirit and tomorrow I will be dwelling on how the Trinity expresses love and through that love, service. It is the same with Queen Elizabeth 2nd; she expresses her love for her people through the service she has given, throughout her life. She has literally given of her life in service to this country and to the commonwealth. Yes, we might say that she has been rewarded with a life of luxury, but she has remained resolute in her duty. I will be trying to share how Jesus expressed love by serving his people ultimately to the cross and death, but with God raising him from the dead, conquering sin and death for us. Jesus, who washed the dirt and grime from the feet of his disciples, washes the sin from us by granting us forgiveness; what a wonderful act of service to us. However, it is also a challenge to us all; how much do we desire to serve others in the way that Jesus serves us ? Can we wash the feet of others as He did ? Can we reach out and hug the outcasts or befriend those whose lifestyle offends us ? Can we speak to other faiths as Jesus spoke to the Samaritan woman ? or do we have the sort of faith that is judgemental and condemnatory ? Our Queen doesn`t compromise her beliefs but similarly manages to serve ALL of her people without exception. Jesus Christ loved and in his life served all people. So should we, but are we prepared to ?